Use the hidden camera for security in hotels, as a nanny cam, simply to monitor your empty house or apartment while you're away at work or on vacation. Motion Sensor - activates when motion is detected. Turns-off when there is no motion around. Helps to prevent unnecessary recording. Loop Recording - keep recording without any pauses. When the memory card is full it starts to delete latest videos and keep recording. What is the viewing angle for this camera? -The camera features a 90 degree wide angle view. How can we power this camera? -Simply plug it into a wall outlet, surge protector, extension cord, etc. and you're ready to record! 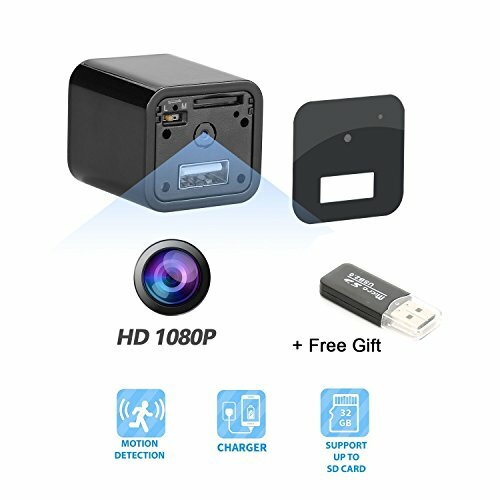 Which SD card do we need? If you have any questions about this product by PKBQUEEN, contact us by completing and submitting the form below. If you are looking for a specif part number, please include it with your message.